I do. I remember a musty sleeping bag on a hard cot. A smelly latrine. Hot dogs burned on the outside and raw in the center. I remember slicing my thumb open while learning to whittle (I still have the scar) and falling out of a canoe while learning to paddle. But I’m going to summer camp anyway. And this time it will be different. Because this summer camp is about the one part that I liked best: telling stories. It’s Camp NaNoWriMo, a virtual summer camp, and it starts June 1, 2012. Camp NaNoWriMo is a summer writing marathon organized by the Office of Letters and Light, the parent 501(c)(3) nonprofit to National Novel Writing Month, and Script Frenzy, and the Young Writers Program. National Novel Writing Month has been held in November since 1999. Like NaNoWriMo, Camp NaNoWriMo provides the online support, tracking tools and hard deadline to get a rough draft of a novel written in a month. Camp NaNoWriMo was established in 2011. 2012 Camp NaNoWriMo sessions will take place in June and August. The goal is to write a 50,000-word novel from scratch in a month’s time. You may recall that I participated in, and won, NaNoWriMo 2010, having written 50,062 words in the month of November. That year over 200,000 people took part – writing a total of over 2.8 billion words. There’s no prize for winning NaNoWriMo except bragging rights. I even had to buy my own T-shirt. However, ending up with 50,000 words is a big head start towards a complete novel. 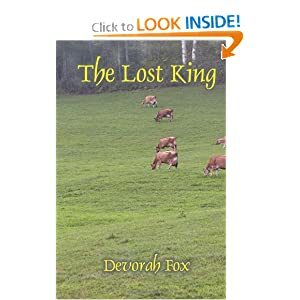 I finished The Lost King in 2011 and it’s now available as a Kindle book and as a print book on www.amazon.com, www.barnesandnoble.com and other online retailers. You can also find it at Duckworth’s Antiques in Port Aransas, at the Aransas County Public Library in Rockport and at Port Aransas’s Ellis Memorial Library, where it’s circulating very nicely. If you want to go to camp, you can sign up anytime at www.campnanowrimo.org to add your name to the roster. You can even choose to be in a “cabin,” i.e. partnered up for moral support with four to six other writers of your own choosing, or new friends who are in your age range, genre or simply chosen for you at random. Writing begins 12:00:01 AM on June 1, and again on August 1. To be added to the official list of winners, you must reach the 50,000-word mark by 11:59:59 PM on the last day of the month. A kick-off party for Camp NaNoWriMo was held May 19, 2012 at the new Storywriters Studio in Corpus Christi. First opened on March 10, 2012, the studio is the brainchild of Cyndie Hoelscher. Cyndie wanted to offer an affordable place where writers could hold or attend workshops, present or market their work, participate in events or simply have a quiet place to write. Writers will find desks, dictionaries, writing reference books, WiFi and coffee, but no phone. The studio has no office phone so writers will not be disturbed. As part of its mission to promote writing in the Corpus Christi/Port Aransas/Rockport area, the Storywriter Studio is participating “Share Your Voice 2012,” the First Annual TEDX Corpus ChristiConference being held June 1 from 1:30 p.m. to 5:30p.m. at the Del Mar Economic Development Building. TED “organizes events that bring the brightest thinkers and doers in South Texas together to spark new initiatives, deep discussion and professional connections.” (TED began in 1984 as a conference bringing together thought leaders from technology, entertainment and design. Since then its scope has broadened into a clearinghouse for free knowledge and a community in which the world’s greatest thinkers and most curious souls can gather to engage with one another.) At the conference, 40 to 50 local writers will participate in an event that to my knowledge is unprecedented in this area. You’ll just have to show up to see it, that’s all I can say. For more information about the Storywriter Studio, visit www.storywriterstudio.com or find it on Facebook. Call 361-815-5438 or just stop by at 1243 Nile Drive in Corpus Christi. The studio is open from 10 a.m. to 8 p.m., every day except Sunday. For more information about TEDX and the conference, visit www.tedsxcorpuschristi.com. For more information about Camp NaNoWriMo, visit www.campnanowrimo.org. I’ll see you there.